Interesting description. Thank you for the information. Glad you learned something new, Mona! 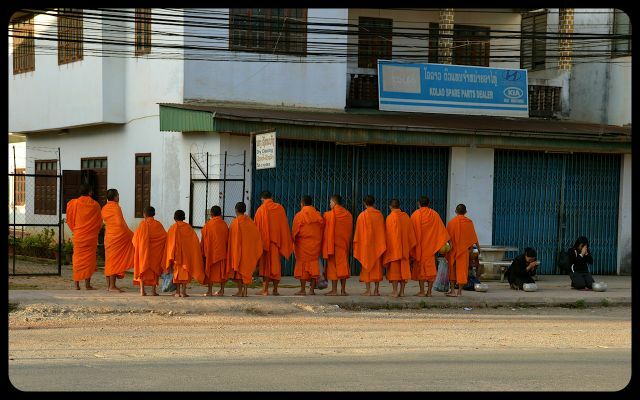 I’ll be sharing images from another Tak Bat Ceremony in pageantry-filled Luang Prabang very soon. Travel days have been (pleasantly) busy, so I’m behind in sharing tales… Hope you’re enjoying the weekend! 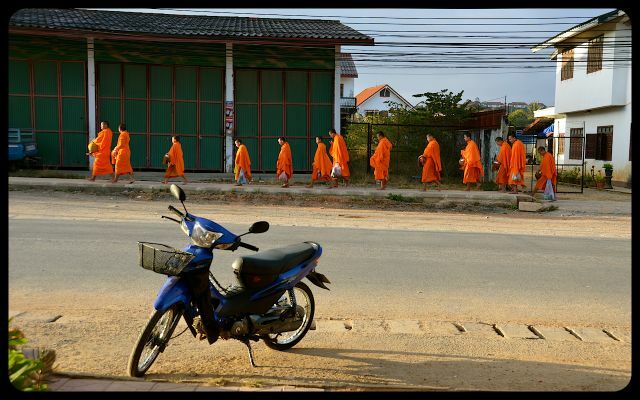 I see them everyday in Thailand as well, but they don´t seem to be as organized as the ones on your pictures. Poker, your message inadvertently ended up in my spam box, thus my slow reply! Do you live in Bangkok? 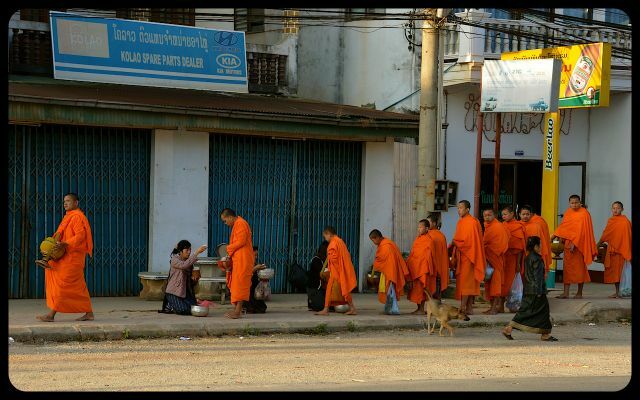 We didn’t get a chance to see any organized almsgiving processions during our visit there, but we did see a few elder monks out and about in a bustling Bangkok neighborhood. In such an urban environment, it’s hard to imagine going barefoot as they do!